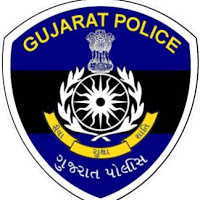 Gujarat Police invites application for the recruitment of 8450 Inspector, Constable Posts. Eligible and interested candidates may Apply via Online. All Eligible Candidate can fill the online application via official website and after submitting application candidate Must send printout (Hard Copy) of application along with relevant document to the following postal address before or on 13-12-2014. Qualification : Candidates have passed 10th / 12th / Bachelors or Graduation Degree or its equivalent qualification from a recognized university. Age Limit : Post No. 1 and 2 : between 18 to 30 years, Post No. 3 and 4 : between 18 to 28 Years. Selection Process : Selection will be Based on Their Performance In Written Exam and Interview. How To Apply : Eligible Candidate can fill the online application via official website(http://ojas.guj.nic.in) and after submitting application candidate Must send printout (Hard Copy) of application along with relevant document to the following postal address before or on 13-12-2014.